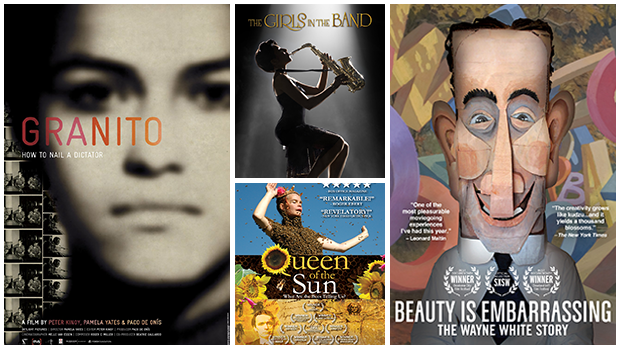 I recently wrote a two part article featuring four documentary filmmakers who pursued hybrid releases with their films and who were generous enough to share the real data from their films’ releases – Transparency: Four Filmmakers Give Up the Gold Pt1 and Pt 2. Upon reading these, filmmaker Leah Warshawski wanted to write something similar for the self release of her film, Finding Hillywood. This first post about the film chronicles the story of her release, finishing up with a list of 10 tips for filmmakers. When all of the data is in – about a year from now – she will write a follow up detailing all of the real data from the release. I encourage more filmmakers to tell their stories – not just the how, but also the results. A great way to do this is to participate in the Sundance Transparency Project. This information helps all of us learn from each other’s triumphs and disappointments so that our knowledge base continues to expand. I am already speaking with a number of other filmmakers willing to share their stories – if you wish to contact me, my information is at the bottom of this post. Alternative distribution models are no longer the experiment, but are now the norm for the vast majority of filmmakers. However because of a variety of reasons, including not least contract obligations and a fear that exposing numbers may not show the filmmaker in the best light, many filmmakers have been reticent to give out the real numbers from their film’s releases. In the US many filmmakers are starting to get that they need to be responsible for distributing and marketing their films. We’ve been in this new paradigm since 2007 at least. But here in Europe – the mythology of white knights rescuing your film and you and carrying your film into the limelight is still very much alive. Most likely because there are still remnants of broadcast deals, co-production and government support even though those are declining precipitously. So Chris Jones asked me to write a blog post to address the top 5 misunderstandings of self distribution. Here it is – would love to know your thoughts. Unfortunately the world has changed. Estimates range that 35,000-50,000 new feature films made every year. Only 600 get on the international festival circuit. 200 get into Sundance. Of those, last year only 20 made deals starting in the low six figures. Multiply that by 5 sales markets worldwide. In a great year 100 films out of 50,000 are making deals starting in the low 6 figures. All rights distribution deals don’t exist anymore except for the lucky few. Part of the reason the Sundance Institute started Sundance Artist Services was to help all of the films who had been in the Sundance Film Festival but never received distribution. Around the world broadcast licenses are decreasing and film fund revenues are shrinking. However the world rewards entrepreneurial spirit and creative energy. Filmmaking used to be only about making films. Now filmmaking has 2 parts – making a film – and connecting that film to an audience. It is what I call the new 50/50. But this is not a sequential process any longer. The earlier you start engaging your audience the more successful you will be in achieving your goals. Full stop. The process will also be more organic – since you will involve your audience in the process of making the film and as a result they will be invested with you and your project. A very good example of this is Iron Sky. A better way to think of this is: You are not changing your film for the market (that usually results in failure anyway), instead you are connecting with the audience that already exists for your film. However by thinking of the audience in advance perhaps there are elements that you might include that will aid in financing or marketing. For instance the documentary Ride the Divide received sponsorship from some of the manufacturers that supplied clothing to the endurance bikers featured in the film. This way the film benefited from considering the larger audience with no sacrifice to the creative spirit of the film. Taking this one step further, it is better to know in advance that your film might have a very small audience – since then it would be best to keep your expenses low in creating the film (if you need to be concerned about recouping your financial investment). Better to make a film for less than be saddled with a mound of debt later. Even further if you have $100,000 to make a film, better to spend $50,000 on making the film and $50,000 on connecting that film to an audience. You will be far ahead of 95% of other filmmakers. Self distribution is not self distribution. It is not DIY. I am known as the “DIY guy” because I wrote a manual to help filmmakers distribute their films. However in that book I stress that distribution and marketing is about collaboration and partnerships. I prefer the term Hybrid Distribution. You as the filmmaker manage the process but you engage various entities to do much of the actual distribution: digital aggregators, DVD companies, shopping carts, fulfillment companies, television broadcasters, bookers, publicists. It still involves work – but not as much as doing everything yourself, which I only recommend as a fallback. Partnering with companies extends your reach tremendously and there are more and more companies forming every month for you to help you. American: The Bill Hicks Story is a wonderful UK example of this. In the new model of artistic entrepreneurship (which musicians have been engaging with for a number of years now) artists need to think more and more creatively about making a living. Look at the products on OK Go’s website. In the spirit of collaboration (see #4 above) I recommend that films have what I have termed a Producer of Marketing and Distribution (or PMD) on their team to be the person on their team to spearhead audience engagement (which is what I call distribution and marketing). 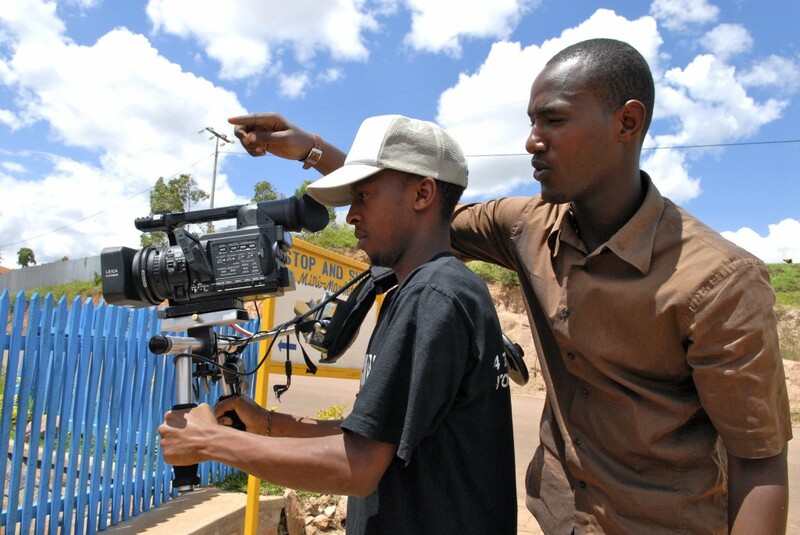 Since nearly half of the work of filmmaking (if not more) is distribution and marketing and since distribution companies cannot in any way handle the glut of films that are made every year, filmmakers need a PMD as much as a DP, Editor, AD, Line Producer etc. The earlier filmmakers recognize this, the more they will achieve their goals and the happier they will be. This concept has already been embraced in the UK: Sally Hodgson is the PMD for Sound It Out, Ben Kempas is the PMD for The Scottish Documentary Institute and Dogwoof has started being a PMD for select films. Start early, plan for it, engage and embrace the new world. All of these concepts and more I will be covering in my 2 Day Distribution Master Class this weekend in London June 23, 24. 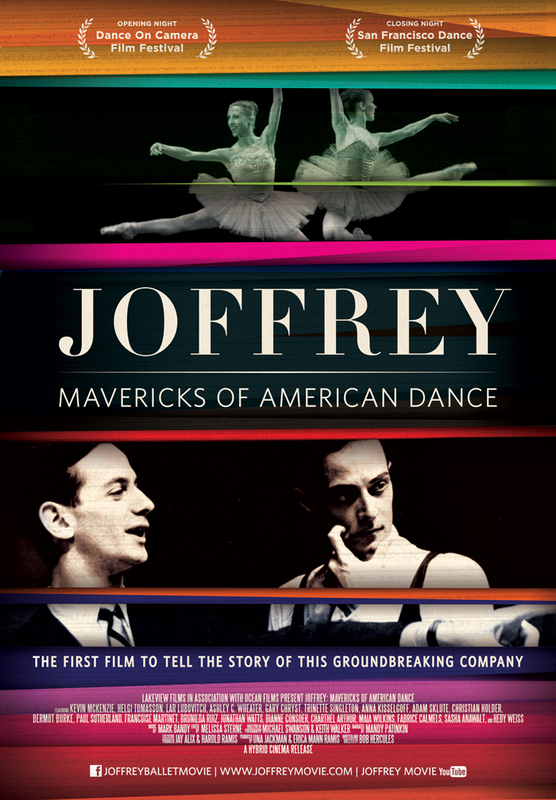 For the past four months, my company Hybrid Cinema has been working on the release of the new film Joffrey: Mavericks of American Dance directed by Bob Hercules about the history of the Joffrey ballet. 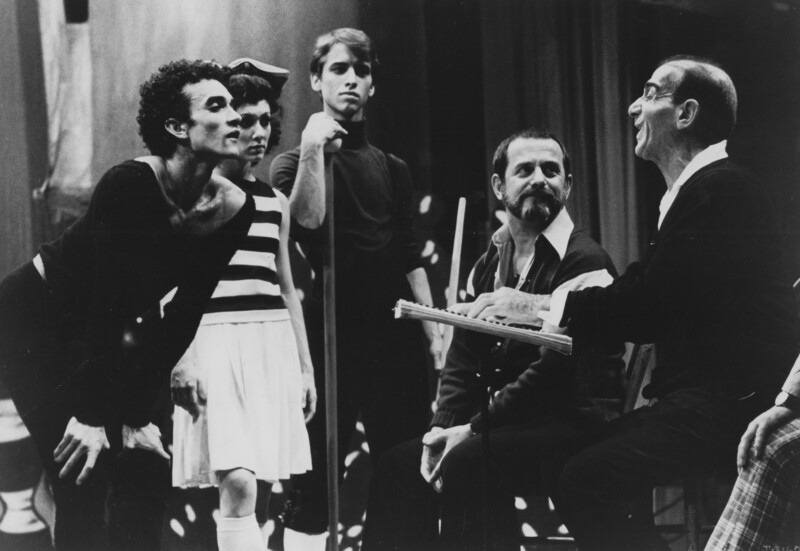 I will be writing a number of posts outlining the unique path that I and my partner on this release, Sheri Candler have taken to release this documentary about the history of the groundbreaking dance company The Joffrey Ballet. In my book Think Outside the Box Office and in subsequent posts, I have written about the advantages and challenges of launching a film after its world– premiere festival. Many filmmakers have complained that they can never recapture the exposure they gain with their first festival. 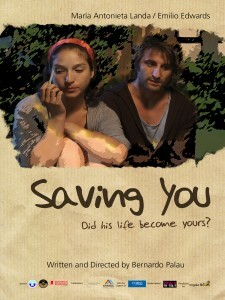 As a result there have been a number of attempts to launch a film in some fashion out of a premiere festival. Orly Ravid writes in Selling Your Film Without Selling Your Soul, about BassAckwards which launched via YouTube Rentals during Sundance 2009. IFC has been running its Festival Direct program to provide a promotional lift to its VOD releases for several years. For instance IFC will premieres films at SXSW and follows it up with screenings in a few cities while it premieres day and date on VOD with the festival. Tribeca has started using their festival as a launch for a number of films that they distribute on VOD. The chief advantage of using a world premiere to launch a film’s release is to condense all of the publicity into one window – thereby conserving precious resources and taking full advantage of press garnered via the premiere. It also utilizes the promotional muscle that many festivals can muster to promote the release. The principal challenge is being prepared – having all of the necessary tools and distribution and marketing channels lined up to take advantage of the promotion. In general this has been beyond the abilities of most independent filmmakers who are just scrambling to get their films finished in time for their first festival. Another challenge is the short window of time that films have to get everything lined up after they receive acceptance to a film festival. 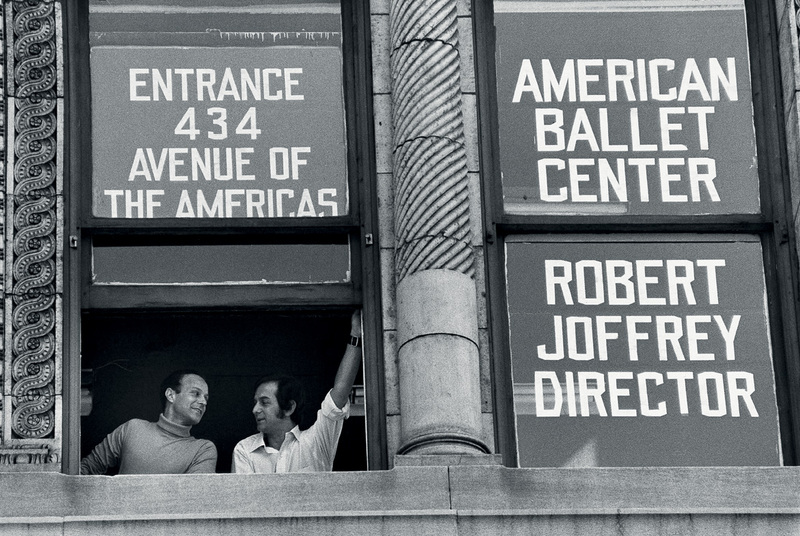 One of the first things we did for Joffrey was to target the Dance On Camera (DOC) film festival as a perfect launch for the film. 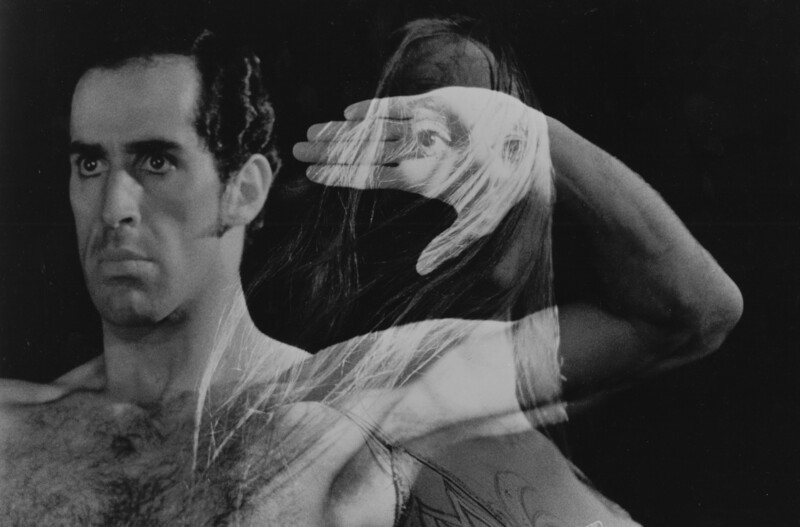 It is not only one of the premiere dance film festivals in the United States (if not the world), it is also based in NYC – where the Joffrey Ballet got its start. It is based at Lincoln Center through the Film Society of Lincoln Center, one of the epicenters for culture in the US and the world. Simultaneously I started speaking to Ira Deutchman of Emerging Pictures because I felt that Joffrey would be a perfect match for his network of theaters across the United States. For the past number of years Emerging Pictures has been simulcasting culturally oriented films, many of which feature live Q&As. The Emerging deal is very filmmaker friendly with 30% of the box office going to the filmmaker if you pay $1000 for encoding, or 25% of the box office going to the filmmaker without any money upfront. Emerging takes care of all deliveries and collections from the theaters. Because of their ongoing relationship with theaters, Emerging is able to collect from theaters and in turn is able to pay the filmmakers. I proposed to Deirdre Towers and Joanna Ney of Dance on Camera that through Emerging, we could be the first film to launch its release out of its world premiere, simulcasting to cities across the US. The partnership is also beneficial for Dance on Camera as it gets their name out in these theaters where ballet and dance fans will watch the simulcast and interact with the festival. It’s a winning situation for all which is what a partnership should be. Emerging does not actually “simulcast” the screening of the film, the theaters download it in advance (hence no print costs), but the theaters carry the Q&A event after the screening via netcast. As important, people at the theaters around the country can tweet questions to the post screening panel in NY – so that they are actually participating in the Q&A – making it a national event. Once the film is on Emerging’s server they can book screenings of the film at a later date at no additional cost. Currently we are screening in 42 cities throughout the US to launch the release of the film. We will start selling 6 panel Digipak DVDs of the film at the premiere and off the website February 1st – in addition to posters, 50th Anniversary photo books of the Joffrey Ballet and an eBook reprint of Sasha Anawalt’s book The Joffrey Ballet: Robert Joffrey and the Making of an American Dance Company (out of print for over a decade until this January 27th – she is launching her eBook to coincide with the launch of the film). We will roll out other merchandise over the course of the release. We will follow this up very quickly with digital DIY via Distrify in order to capitalize on the international attention we will receive from the publicity via the worldwide web. The biggest challenge has been to get the project ready to release in the short window since we found out we were selected for Dance on Camera. We have also been planning events throughout the United States that will run through the spring and potentially throughout the summer. 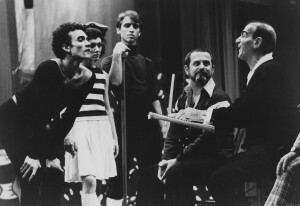 Most of these events have similar Q&As with former notable Joffrey dancers – many of whom head established dance organizations in cities throughout the US and are actually also coordinating the screenings in their cities. To start the process of the Los Angeles screening, I met with former Joffrey dancer Carole Valleskey who runs the nonprofit California Dance Institute. We then sought the involvement of Leslie Carothers-Aromaa another Joffrey dancer who teaches at the Colburn School and helped secure the 430 seat Zipper Hall. We’re selling tickets for $20 a piece and are 1/3 sold out as this goes to press. These screenings will lead up to a day and date DVD and digital release by New Video (more on the timing of this in a later post) in June. 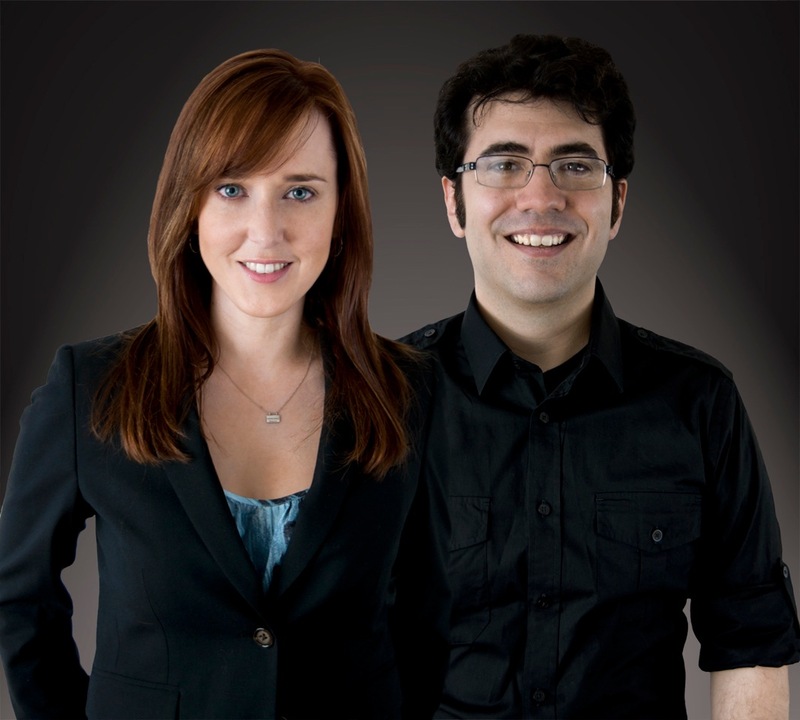 To book and coordinate the rest of the events in the US, we brought on Liz Ogilvie and Paola Freccero of Crowdstarter. The other type of event that we have wanted to set up from the beginning is to have a live ballet component to the screenings. This has turned out to be very difficult to set up due to either expense or theatres not being equipped with an appropriate, safe stage for the dancers. However the screening being set up by former Joffrey dancer Trinette Singleton in Allentown, Pennsylvania will have this feature and we are pushing for more. 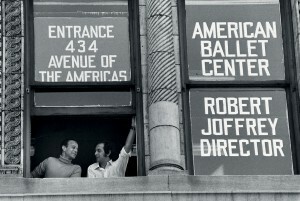 A final note – one aspect of what attracted me to Joffrey: Mavericks of American Dance was the fact that Bob Joffrey and his partner Gerald Arpino were early artist entrepreneurs. They came to NY with no connections to the established dance world, set up a dance studio to train young dancers and then toured the US in a borrowed station wagon like so many indie bands and filmmakers. Sheri and I will be writing a number of other posts about the various aspects of the release and marketing in the coming months – we look forward to your feedback. Joffrey: Mavericks of American Dance premieres January 27th at the Dance on Camera Film Festival at Lincoln Center, NYC. Check the website for the cities where the January 28 live simulcast is taking place. The film was directed by Bob Hercules (A Good Man, Forgiving Dr. Mengele), produced by Una Jackman and Erica Mann Ramis and executive produced by Harold Ramis and Jay Alix. I will be at DIY Days on Friday, October 28th, presenting my Artistic Entrepreneurship workshop from 3:45 to 4:25 pm. I will be speaking about how to create long term relationships with fans through engagement, live events, merchandise and digital releases. Half the time will be allotted for presentation, and half the time will be devoted to workshopping audience projects/artistic brands. Some of the other great speakers at DIY Days include Joel Arquillos, Hunter Weeks, Henry Jenkins, Jim Babb, Yomi Ayeni, Adam Chapnick and Christy Dena, among others. At 5:30 pm I will be at UCLA’s Young Research Library for the L.A. launch party of my new book Selling Your Film Without Selling Your Soul cowritten with The Film Collaborative and Sheri Candler. Hope to see you there. Today’s guest post is from Joke and Biagio who are doing an amazing job with their Kickstarter campaign to raise money for the distribution of their film Dying to do Lettermen. Check out their kickstarter page – they’re already raised $47,000. In it they talk about why they are releasing their film themselves (plan B is the new Plan A). And no – I didn’t pay them for all the nice things they say about me and TOTBO :)! Offered to distribute the movie. Sounds like a dream come true, right? We spent more than that making the movie. A film we worked on for six years. Today’s guest post is from Producer of Marketing and Distribution who lives and works Joe Jestus. Joe introduced himself to me on Twitter as a PMD living and working in the “next film capital of the United States”: Oklahoma. Joe actually changed his title to PMD when he discovered what it was. I asked him to write about his experiences and he has a lot of great information to share! Special thanks to Sheri Candler for helping facilitate this post. Sheri and I are starting to meet a lot of PMDs around the world and we are asking them to share their experiences with us – so look for more of these great posts. Sitting down to write this article and looking back it’s hard to believe that just a year ago the independent studio I work for (Trost Moving Pictures) had just one feature film, “Find Me” that was starting to appear in small retail stores and sporadically at that. Fast forward to present day, where we just wrapped principle photography on our third feature film, “The Lamp” a few weeks ago and our second feature film, ”A Christmas Snow” is now in 2,500 Walmart stores around the country and in numerous other stores as well. The last 12 months have been nothing short of a whirlwind and I’d like to share with you some of the things I learned as a PMD (which I didn’t even know existed 12 months ago). Last year when we began looking for a way to get “Find Me” into stores we checked out traditional distributors and kept getting the traditional response: their money goes in last and comes out first and besides a small advance we get an even smaller portion of DVD sales. We thought we could do better, so we hired a consultant/product placement person to work on getting our film into stores and we used a fulfillment house that already had supply chain connections with the stores we were trying to get our DVD placed in. When thinking about marketing, we all know you have to get people in seats at theaters and people at shelves in stores or having your film in theaters or on shelves is not only pointless but expensive. But what you might not know is that before you can get your film on a store shelf you have to market to the stores and then more often than not, pay for that spot on the shelf through one of two ways and that is what’s known as your placement cost. Stores aren’t just in the business of selling things, they are in the real estate business and they want to be paid for their space. That end cap, front of store spot, custom display, special doorbuster promotion, even the difference between having your film spine out or face out will cost you. You can pay for this with an upfront placement cost, which can run from hundreds of dollars to millions of dollars depending on if you have ancillary products that go with your film and also how many stores you want your film in. Another option is to give a greater discount to the store on your film to either get the placement cost discounted or reduced. But because it is an independent film, more than likely you’ll have to pay some sort of placement cost, because the store is not sure if it will sell enough product to make up for in margin what they lose in placement fees. So in order to get into stores, there will be a cost and you’ll need to know who is paying for this and how much are they paying. With “Find Me” we didn’t have a lot of money (surprise, surprise) so we opted to just get it in stores wherever, whereas with “A Christmas Snow” our distributor has paid for better placement and it’s helped with walk in sales. In fact, over this last Black Friday weekend, one chain of stores did a special doorbuster promotion with “A Christmas Snow” and moved 6 times the amount of DVDs another similar chain did, but those sales do come at a cost. This is where the ability to test, learn, and refine your marketing and distribution comes into play. Is it better to move thousands of copies at a lower margin or less copies at a higher margin? Another good point to include in any contract with a distributor is to make sure you get final approval on any major discounts given to a specific retailer. Yes, Walmart may want 20,000 DVDs but at what percentage discount? Does it make sense? This all depends on the goals you have set for your film, as Jon Reiss said in his book, “Think Outside the Box Office” These are all questions that I’ve had to consider on a daily basis as a PMD. As important as it is being on store shelves (there are some people who still would rather walk into their local store than buy online, not to mention those who still think it’s not a real movie until it’s in a theater or major store – like your relatives and friends), it’s really no better than being in a theater without marketing. Marketing to the consumer to get them to the store to buy you film is called sell through marketing. Without this second type of marketing, placement can become a money pit. Yes, you have walk in sales and some stores will market your product to their lists and in their catalogs, but once again you probably had to pay for that spot. There are some independent stores that come together under an organization for marketing and you can get in their catalogs as well, but you need to be sure to ask two things from these groups: 1) What does it cost? (then figure out how many DVDs you have to move to break even or make a 20% profit at least) and 2) Are the stores required to carry the products in the catalog? Some organizations require the stores to carry the products and others don’t. So you might spend $2,000 to get into a catalog and then when someone walks into that store asking for your film, they walk out empty handed because the store didn’t carry it. With “Find Me,” we learned some tough lessons and one of the most important was that stores work on relationships. They have certain fulfillment centers they can use and others they won’t use. Certain distributors they like and others they don’t like – ask around and find someone that is well respected. Our consultant was well respected and a great guy, but because we didn’t have the capital to garner better placement or drive customers into stores we weren’t profitable due to production, replication, and brokering costs. Something had to change for our next film. For “A Christmas Snow,” we partnered with a publishing house that was looking to get into films. In addition to the film, we created two books. One is a novel of the film written by best-selling author Jim Stovall and the other is a companion teaching book written by the director Tracy J Trost. The companion book, called “Restored” is a journal of one of the main characters and follows them from before the film right through to the end of the movie. With these extra products, we could make a higher margin on the DVDs while our distributor made a higher percentage on the books. We also had a wider reach with placement into larger store chains. That said, we have turned down some well known stores simply because the placement costs were too steep and it didn’t make financial sense, again this is why it’s important you have some say in your distribution. In addition to continuing work on “A Christmas Snow,” I am transitioning to “The Lamp” and on both films we’ve had the pleasure of finding other talented people to add to our team, both salaried and temporary. Everyday, I’m communicating with our contacts at the distributor and our publicist as well. Publicity is another relationship based industry contacts and having a publicist who knows publishing people is key. We’ve learned a lot in regards to publicity including a 6 week tour that I took with my family, my business partner/film director Tracy J Trost and his family – but that’s a story for another day – thousands of miles, 7 kids, and 2 RVs, it sounds like a Disney film. Most recently, we’ve brought on a Special Events Manager to begin building relationships with charities, churches, and other family based organizations so that we can team up with them for charitable screenings of our films. She’s also taking over some of the daily social networking updates, newsletter, and blogging from me as well so that I can focus more on big picture planning and relationship building. It’s important to find people who are good at what they do and let them do it. In all honesty, the list of what a PMD doesn’t do would probably be much shorter and quicker to write and that’s why it’s imperative you find people who can help out with certain tasks or projects or you’ll quickly fall behind and you won’t catch up. Whether its planning your premiere, updating your site, social networks, getting versions of your film for International distribution and TV broadcast made/shipped, or getting the word out to the press – these things all take time and the more you can empower talented people around you to accomplish these tasks while you oversee the process, the better. After all, what’s the benefit of doing what you love if you’re so worn out at the end you can’t do it again? Even if you don’t have the capital to hire salaried employees, you need to “start thinking like a studio” as Sheri Candler says. With each project you’ll find people you want to work with again and others that you’re pretty sure you won’t be sending a Christmas card to this year. Either way though you need to get help… or I guess you could move back in with your parents, not have a spouse, kids, or pet and that might work too. Another important lesson we learned was in the casting process of “A Christmas Snow,” we had this idea to do an open casting call in December 2009 for every part in the film. Actors and actresses could upload a video of themselves to our Facebook page http://www.facebook.com/AChristmasSnow as an audition, not only would it possibly help us find a cast for our film but we thought it would be a great way to get the word out about our film. The director, Tracy J Trost, recorded a video for each part with his vision for the character and his direction for the lines they would need to read. We had hundreds if not thousands of submissions and most people loved the entire process. However, one thing we hadn’t thought of was some actors/actresses didn’t want to put their auditions up publicly for all the world to see, in addition to that, one of the parts was for a 10 year old girl and a few parents were uneasy about uploading their daughters’ audition to our facebook page as well. We hadn’t figured anyone wanting to be a movie star would have an issue with being seen publicly, but we found out they did. This was one of the many times we found out you will always need to be ready to adapt and respond as you begin to deploy your plans. Some plans will work almost exactly as you had planned and others will look nothing like what you thought and there is one common reason for this: PEOPLE. You can never guarantee what they are going to do, or more importantly, how they are going to see things. What you thought was a great idea might be a terrible idea to the audience you are trying to reach so you need to be ready to adapt and respond. What you think is a great deal, might seem like a ripoff to your audience and you need to adapt accordingly, all the while keeping the goals you have set for your film in mind. These are just three of the many important lessons I’ve learned over the last year as a PMD and quite honestly I wouldn’t change a thing, except for maybe a few more DVD sales 🙂 But the truth, is if you want to be an experienced PMD, then start getting some experience. There is no right or wrong way to do it, as long as it gets you where you want to go. So find out where you want to go, take off the training wheels, get out there and start trying something – anything, all the while learning from those along side you who are trying as well. Follow other PMD’s on twitter and befriend them on facebook, when one of us succeeds, we all succeed. I look forward to hearing of your successes and soon to be successes (formerly known as failure) and please above all else, enjoy the ride! About Joe Jestus: Joe Jestus is currently the PMD at Trost Moving Pictures an independent film studio based in Tulsa, OK and according to his Twitter Bio he’s also a husband, father, and BFF. You can reach him at: Twitter or Facebook but please don’t interrupt his daily epic ping pong match.